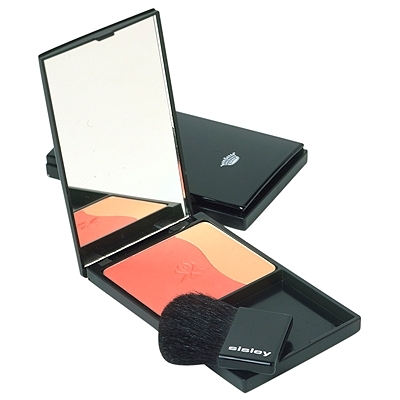 I’m not sure how it is I haven’t got round to reviewing this beautiful blush from Sisley, but Phyto-Blush Eclat in Peach, Mango, Litchi or Pinky Rose Duos, but it’s really a lovely, quality powder. The formula is enriched with Gardenia, Mallow and Linden Blossom so it smells divine and while the smell of a blusher is never a deal-breaker, it’s an added luxury. 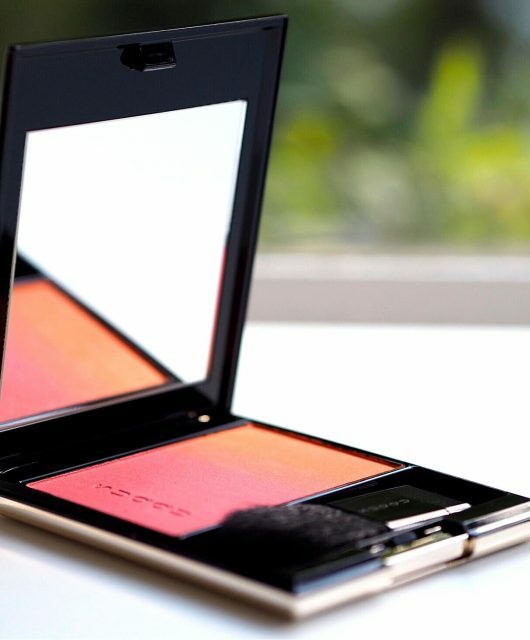 It’s pricy at £47.50 but looks and feels so premium in a glossy black compact that it’s a treat worth having. 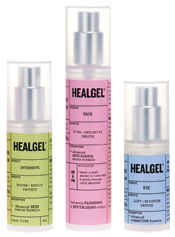 If you’ve heard of the famous Healgel, then you’ll know the rave reviews that it gets. 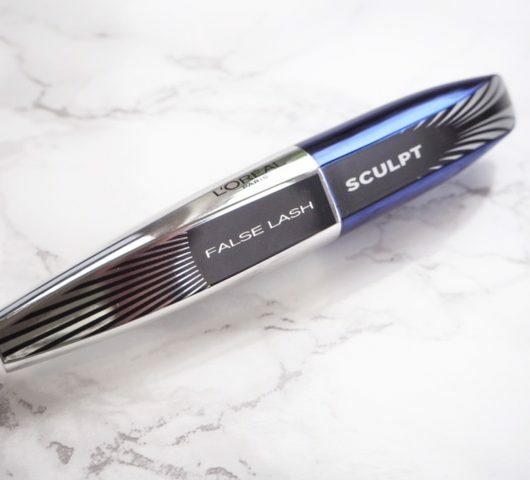 Formulated by five leading cosmetic surgeons and a renowned skin biochemist, it’s one of the few genuinely ‘miraculous’ products out there. It’s not really a surprise then that the range has branched out into anti-ageing skin care. I’ve used it a few times and it is nothing short of delicious on the skin. Combining Omega oils, Arnica, peptides and Hyaluronic acid (my favourite!) it genuinely leaves skin feeling soft, hydrated, plump and lovely. It’s £48 and launching any day now along with Healgel Eye and Healgel Intensive. 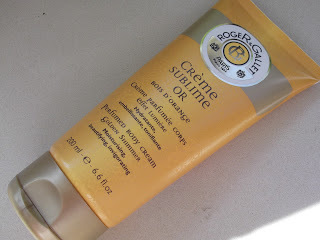 Even though I really don’t personally like to be lit up like a Christmas tree with sparkling products, the new Creme Sublime Or Bois d’Orange from Roger & Gallet is so subtle that it looks everything pretty with a smooth skin backdrop. Boosted with 6 omega rich oils, the creme smells of holidays; a mix of bergamot, orange and melon and is delicious. At £15 a tube, this feels like a very luxurious product at a very average price. It’s launching any day now so keep an eye out. 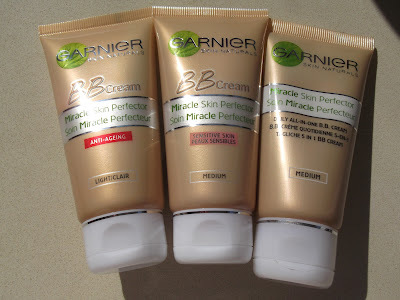 The new Garnier BBs launch this month, and given that Garnier is still my go-to BB cream for everyday use, it’s a welcome addition to the line-up. 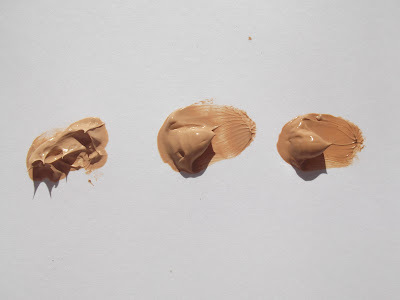 Miracle Skin Perfector now comes in Anti-Ageing (with Pro-Xylane) and Sensitive Skin (using uncoated minerals and Allantoin) formulas. 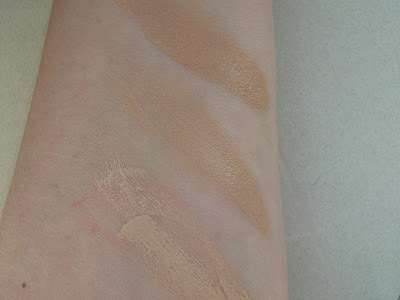 I’ve swatched them and the Anti-Ageing formula in Medium comes out just a tiny bit lighter than the regular BB. 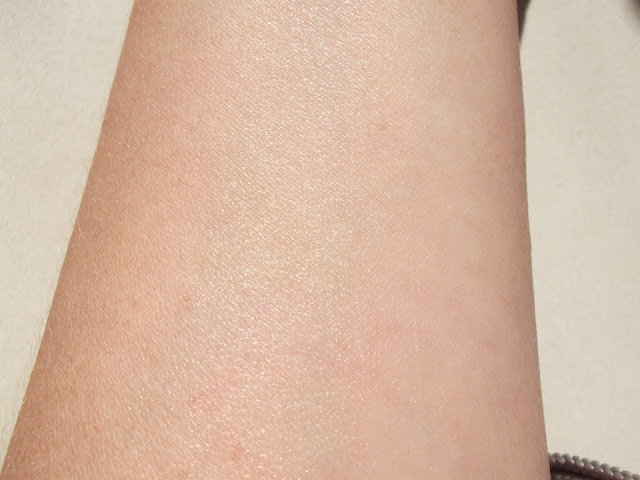 Sensitive is swatched in light, but they all have the same texture qualities and coverage. They’re £9.99 each.